Year 1 enjoyed a visit from Lotte's Grandma today. 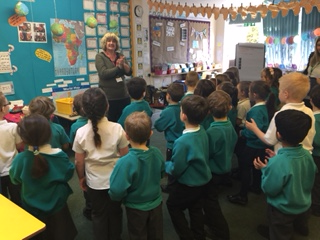 She shared some African songs, drumming and singing. Elden said "she did lots of shaking, dancing and banging".